Colne Football Club have sealed a great victory with the news that they have been granted the freehold of their ground. The club had requested the freehold for their ground at Holt House to help them attract investment and grow. 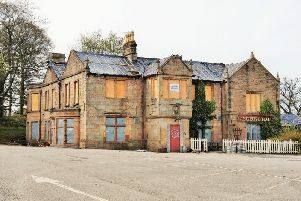 Despite requests to the former Labour and Liberal Democrat administration, the club were denied the freehold. During the local election campaign, the Conservatives pledged to grant the freehold to Colne FC and they have now delivered on that pledge. Leader of Pendle Council, Coun. Paul White, said: “I’m delighted to have been able to deliver so quickly on the pledge we made during the local elections. Colne FC wanted the freehold to be able to continue thrive and grow as a club and I’m glad that the Conservatives have are helping them to deliver that. "Despite the pledge being very popular with residents across Colne during the election, both the Labour and Liberal Democrat Councillors voted to block the move at the Policy and Resource Committee." The council will now enter the final negotiations with the club which will ensure both Colne FC and Pendle Council are satisfied with the agreement and the ground is safe for years to come.